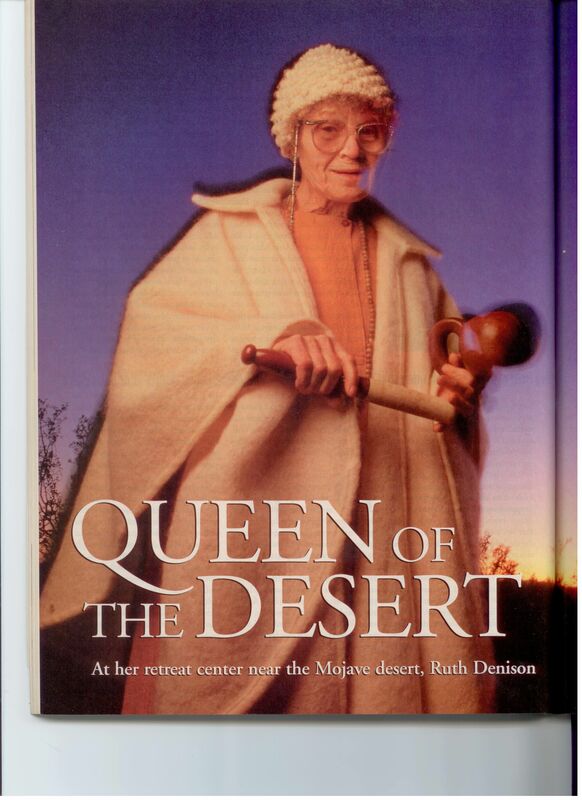 At her retreat in the Mojave Desert, Ruth Denison teaches a brand of meditation that’s as freewheeling as she is. This entry was posted in culture and tagged Dhamma Dena, Ruth Denison, Vipassana by joannefurio. Bookmark the permalink.